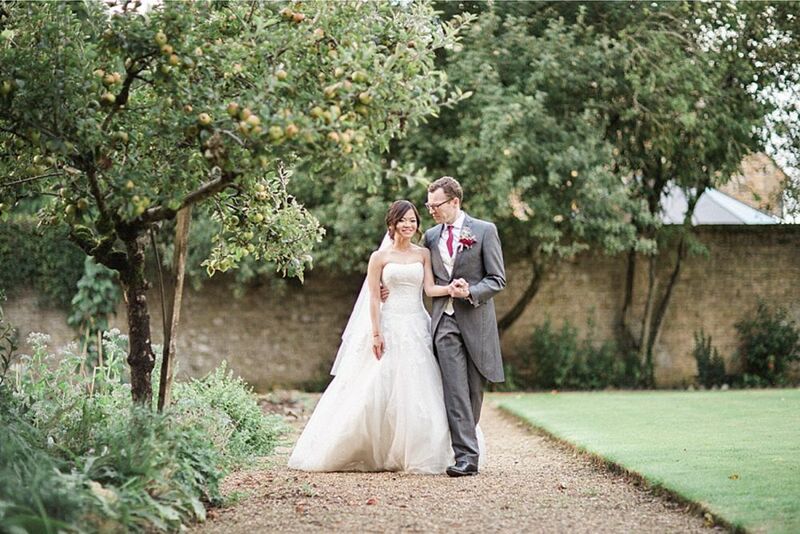 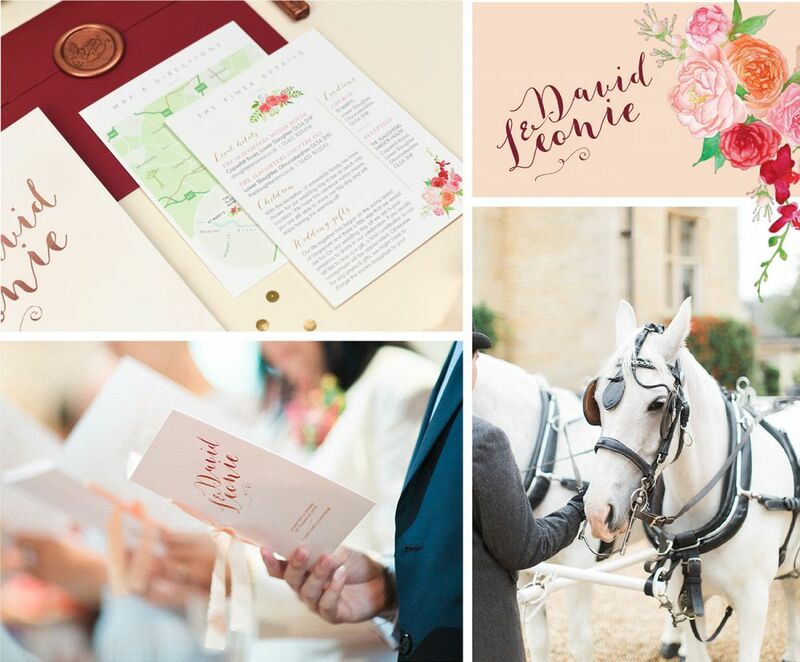 BRIEF CRITERIA: David and Leonie’s vision for their wedding was elegant, modern and feminine with flowers being a key element to the design of their day. 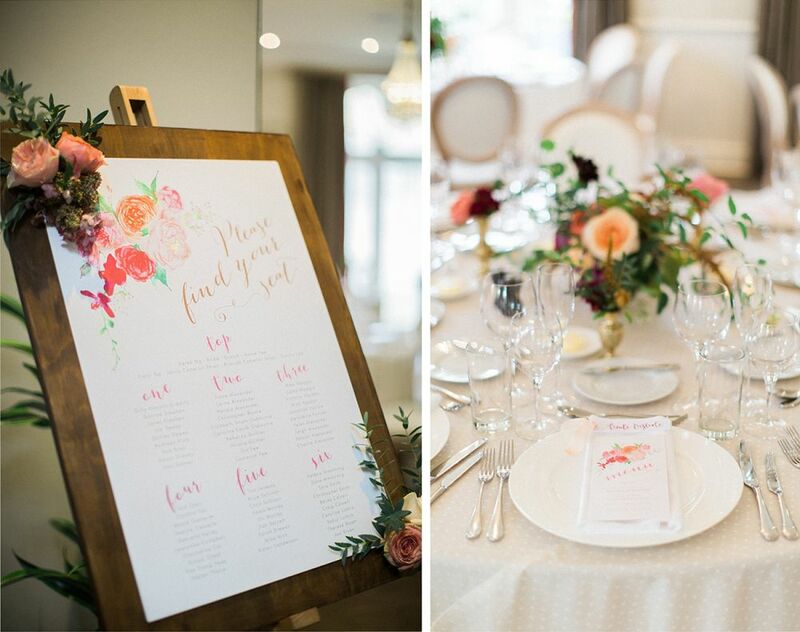 The colour palette was to be bold and pretty, using rich tones of deep red, contrasted with a summery palette of softer pinks, apricots and peaches. 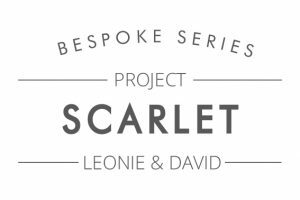 THE RESULT: Firstly a monogram was created using the bride and grooms initials which became their ‘stamp’ throughout the wedding. 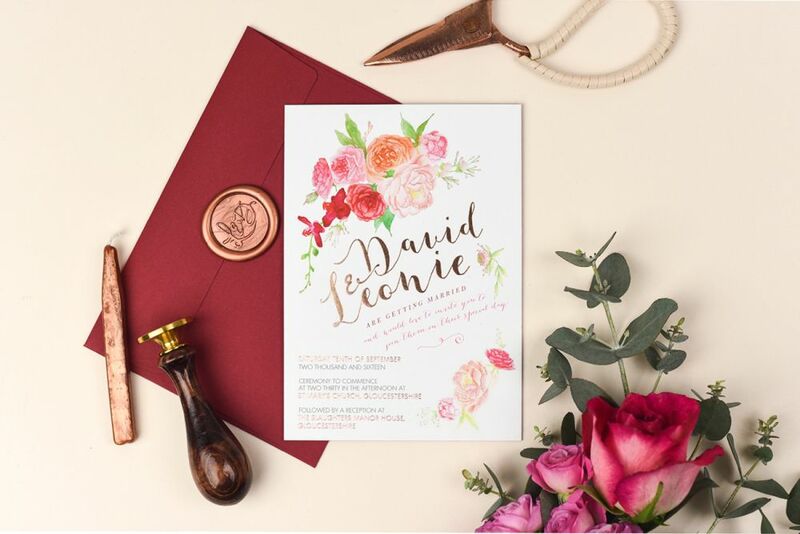 To capture the essence of the day, a bespoke floral corner illustration was hand-painted with water-colour and pencil, acting as the main focus of the invite. 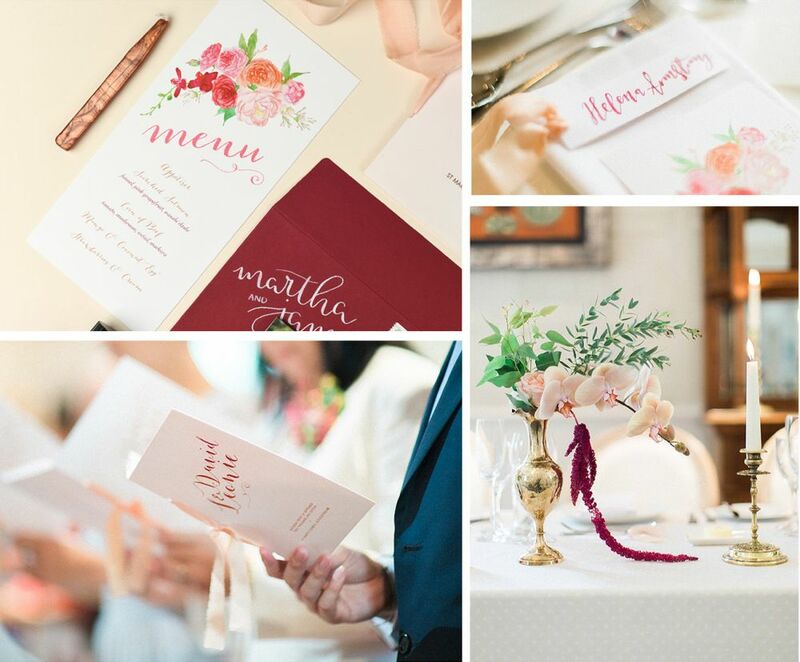 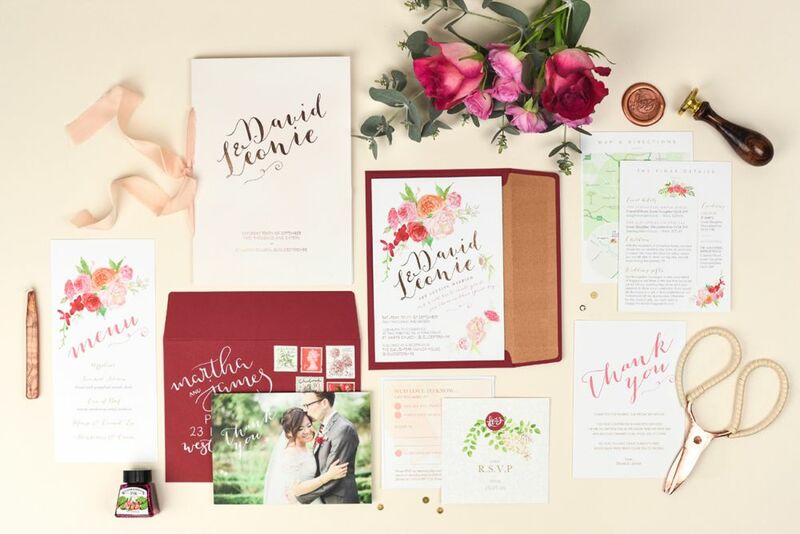 The bride and groom’s hand-drawn names sat underneath the illustrative blooms and were printed in stylish rose-gold foil, with all the finer details listed below. 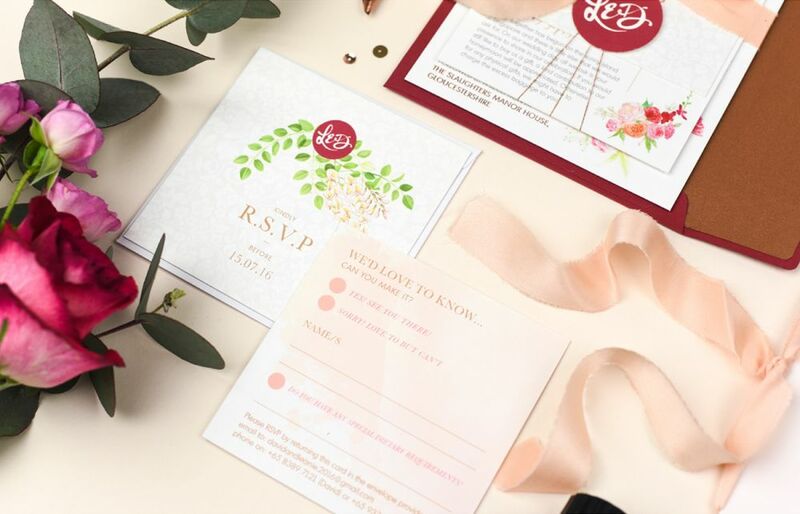 The duplexed 700gsm invitation sat with an information card, map and RSVP which was bound together with a peachy hand-dyed silk ribbon and a circular monogram tag was threaded on with a fine rose-gold thread. 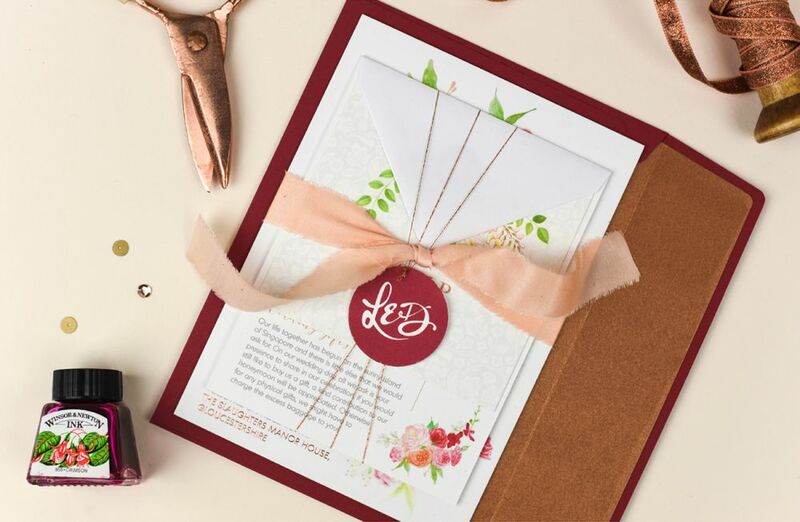 Each suite was placed into a copper lined scarlet red envelope and finished with a copper monogram traditional-style wax seal. 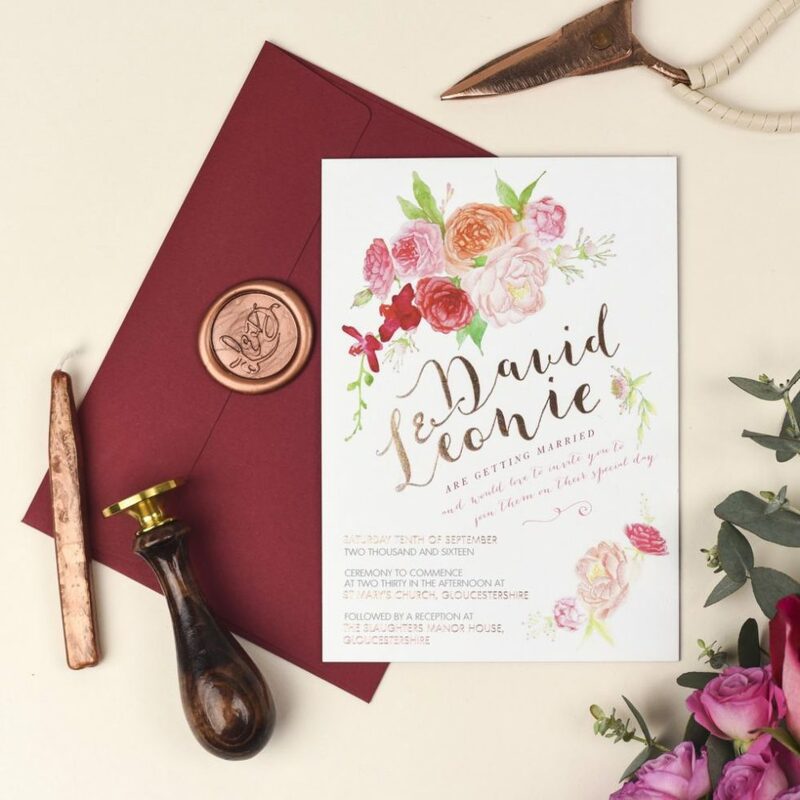 Items for the day were also created following the same design style, using matching materials and print finishes – these included stunning rose-gold foiled orders of service with the peachy ribbon used on the invitations. 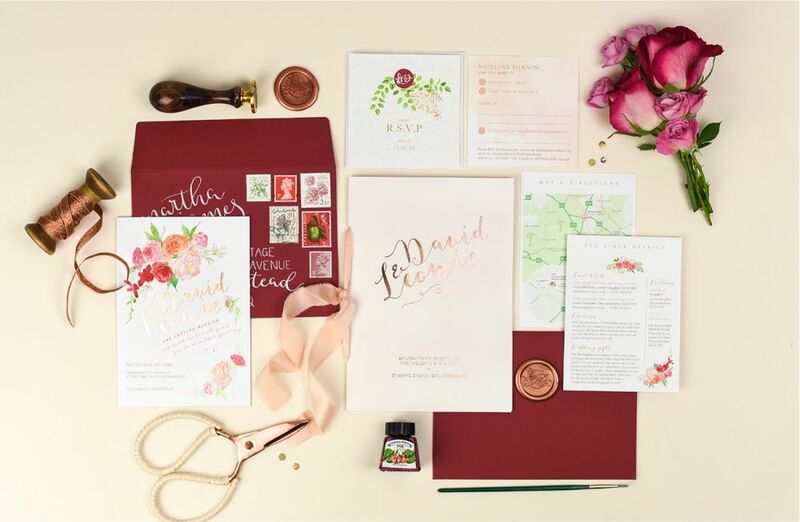 Placenames were hand-calligraphed in a raspberry red ink and finished with the same ribbon.